An illustration of SpaceIL's lunar pod on the surface of the moon, where to win the Google Lunar XPrize it will have to roam the surface for 500 yards while transmitting high quality images back to Earth. The moon launch is the product of SpaceIL's participation in Google's Lunar XC Prize competition. Israel's space division and an Israeli aerospace nonprofit announced Tuesday that a mission to the moon will launch in December. If successful, the country would become the fourth nation to land on the moon and the first to use a small spacecraft. In a press conference in Yehud, Israel the Israel Aerospace Industries Space division and the nonprofit SpaceIL relayed their plans to launch an unmanned lunar spacecraft, weighing a relatively light 1,322 pounds, from Cape Canaveral, Florida in December. After a two day journey, the spacecraft should land on the moon Feb. 13, 2019, to plant an Israeli flag and to collect scientific data for two months. "After eight challenging years, I am filled with pride that the first Israeli spacecraft, which is in its final construction and testing phases, will soon be making its way to the moon," said South African-Israeli billionaire and president of the SpaceIL, Morris Kahn, in a statement. "The launch of the first Israeli spacecraft will fill Israel, in its 70th year, with pride." 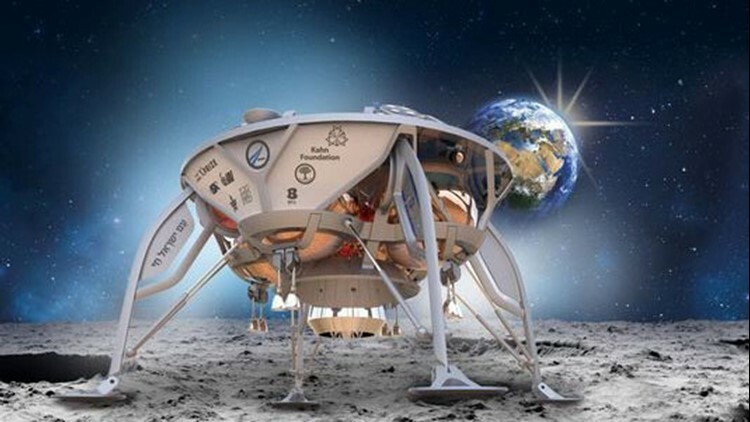 The moon launch is the product of SpaceIL's participation in Google's Lunar XC Prize competition that initially promised a $20 million prize for the first non-governmental organization to land an unmanned spacecraft on the moon by 2014. Israel joined the competition set on joining the ranks of the United States, Russia and China in reaching the moon. No organization could meet this deadline, however, and the competition ended in March with no winner. SpaceIL was created in 2011 by three engineers, Yariv Bash, Kfir Damari and Yonatan Winetraub and partnered with Israel Aeronautics Industries. The group continued its work after the competition ended in hopes to "fulfill the dream of reaching the moon," according to SpaceIL. The plan is for the small spacecraft to latch on a rocket from Elon Musk's SpaceX company from the Florida launch point in December. It will then disconnect from the Falcon over 37,000 miles above earth to enter an orbit, expand and get captured by the moon's gravity. The organization runs on private donations to support its $95 million project, with $88 million needed for the spacecraft's construction. Kahn, president of SpaceIL, has donated $27 million. Israel hopes this space mission starts an "Apollo effect," getting Israelis pumped up about the prospect of space and capturing the minds of children in hopes to inspiring them to study science, technology, engineering and mathematics, the organization said.